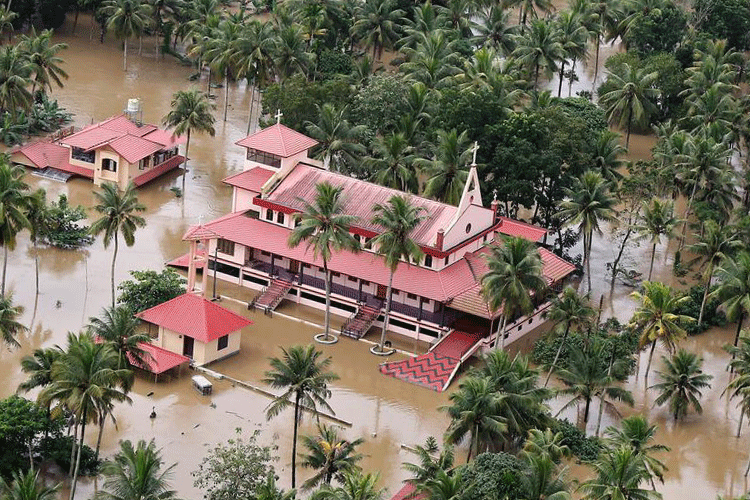 With global warming and climate change, incidents such as the devastating floods in Kerala or the current Hurricane Florence situation in the US will continue to affect human and wildlife settlements in greater numbers. But AI technology and connected devices have allowed us to quickly predict such disasters and prevent catastrophic damage. It’s in that spirit that Google has announced that is using its AI algorithms, maps and other data to predict floods around the world. The tools have been created to reduce the number of people who are displaced due to flood events every year. That number is currently at 250 million people and Google has announced that it will utilize AI and computational forecasting to predict when a flood is about to hit. This information will be integrated within the Google Public Alerts so that users are notified with a warning on the top of search results. Google could also pass on this information to local authorities so that everyone can be alerted, even if they are offline. Not only will such alerts help inform the authorities early enough to deal with the impact of the floods more effectively, but it has the potential to reduce critical infrastructural damage as well as harm to life and property. Google’s AI is also capable of predicting the intensity of the flood, so appropriate resources can be allocated for any calamity – big or small. To predict floods accurately, Google uses a slew of data including information about the water level in the river, the terrain through which it passes and the elevation of the area, and a history of floods in the area. The predictive system creates an output which outlines the path of the flood and its severity. 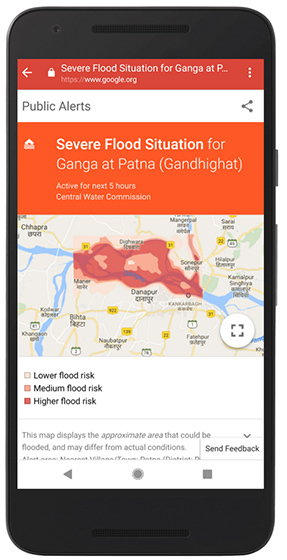 In India, Google has partnered with the Central Water Commission to provide details related to floods and issue alerts in order to prevent their occurrence. The first AI-based alert was rolled out for heavy rainfall in Patna a few weeks ago and the company is now looking forward to expanding their predictive models to other flood-prone regions, not limited to India.